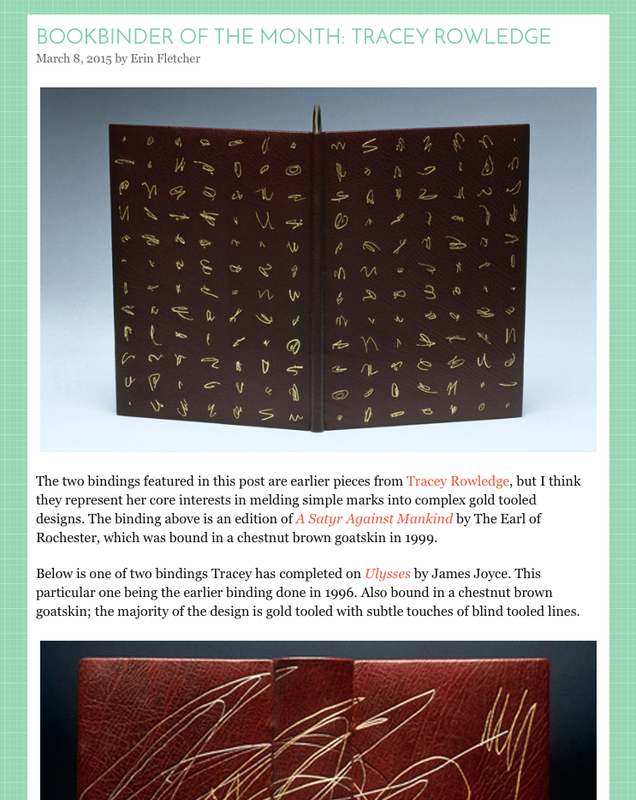 Last summer I was on a 5 days workshop in gold tooling on paper for Tracy Rowledge it was a fantastic workshop, Tracy is a very skilled bookbinder and teacher. I'm still happy. 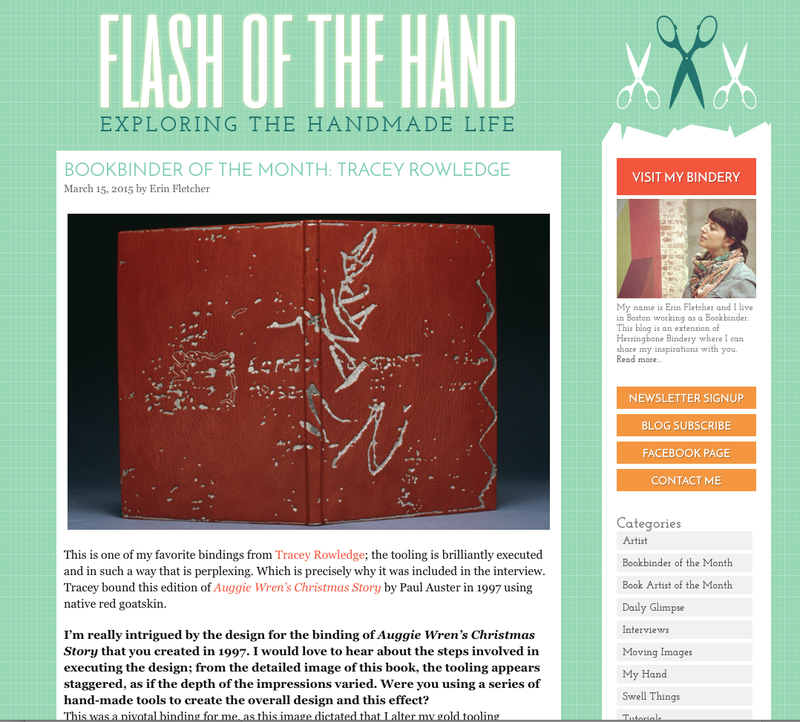 This month Erin Fletcher interviews and shows Tracys excellent work every Sunday on Erin's blog FLASH OF THE HAND.